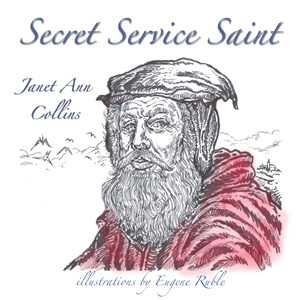 Article first published as Book Review: Secret Service Saint by Janet Ann Collins on Blogcritics. Are you a parent looking for ways to teach your child about the true spirit of giving? If you answered yes, you must read Janet Ann Collins’ book: Secret Service Saint. It is a book that tells of the joy of giving. Recommended for three to eight-year-olds, it is based on legends about the famous Saint Nicholas, who discovered the fun of doing secret good deeds. Reading this book will teach children about having compassion for people in need. It will also help children understand that we all at times need help from others. The best lesson to be learned is if we have the means by which to help someone else we should always do it. Sometimes children have a hard time sharing their belongings with others. Lastly, this is a good book to curl up with during the Christmas season. Parents can use the book to teach children about the legend of Santa Claus. The fine illustrations done by Eugene E Ruble, a 30-year distinguished member of the St. Louis Artists’ Guild brings life to the story. Article first published as Book Review: The King’s Christmas List by Eldon Johnson on Blogcritics. 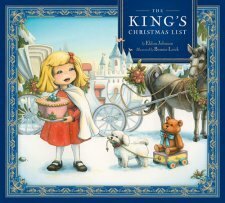 The King’s Christmas List is the most incredible book I have read about the true spirit of Christmas. The main character Emma has been invited to the King’s birthday party. Emma and her dog Shu-Shu are on their way to the party. Before they arrive they come across some people who are hungry and cold. Emma’s compassion shined brightly when she gave away first her cape and then her favorite teddy bear. Next she gave away a cake she and her mom made. The story tries to portray the true spirit of Christmas by showing it is better to give than to receive. Upon arriving to the King’s birthday party, Emma felt very badly that she did not have anything to give to the King for his birthday because she had given the cake and her other belongings to the needy people she met on the way to the party. The part of the story that resonates well with me is Emma did not know that she was being tested. It is truly sad that the true meaning of Christmas has become a way for merchants to make a profit. This delightful story should be in every home and it should be read to every child because it can be used to teach children what Christmas is all about. In this text billed as suitable for four- to eight-year-olds, the illustrations are simply the best I have ever seen. Kudos to Bonnie Leick for doing an outstanding job and for making the story jump off the page. Article first published as Book Review: How to Turn Your Book Club into a Spectacular Event by Mayra Calvani on Blogcritics. Are you a book enthusiast? Are you passionate about sharing what you have read with friends? If you answered yes, you might want to consider starting a book club. 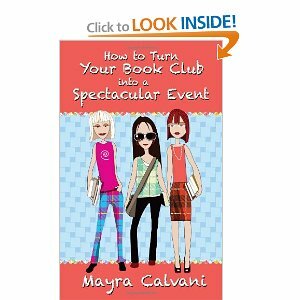 If you are clueless on how to start a book club you must read Mayra Calvani’s new book, How to Turn Your Book Club into a Spectactular Event. This book is designed for girls aged nine and up. The book details the how, where, and when you can start a book club. The book is well thought through in order to make it easy for a young person to understand and put the suggestions to practical use. The book has two sections. Part one explains the steps in starting a book club; part two is dedicated to the different book categories and genres. The author also gives many examples of categories and genres. This is an ideal book for girls who love to read. They can take their reading to the next level by forming a club designed to discuss what they have read. I can see how forming a club will help enhance learning because one must pay attention to minute details in order to talk about what you have read to others. Though the book is designed for teens, in my opinion young and old can benefit from reading it. After finishing it, I’m inspired to start a book club of my own. I’m even thinking about starting a book club with my middle and high school students. The cover art by Kurt Ozinga is very appealing and pleasing to the eyes. Looking at the cover captivated me and made me want to read the book. I am grateful to the author for providing me with a free copy of her book for review. Article first published as Book Review: A Necklace for Jiggsy by Kit Grady on Blogcritics. Here lately I have been doing a lot of reviews of books published by Guardian Angel Publishing. Every book I have reviewed has left me with a warm fuzzy feeling in my heart. This book, A Necklace for Jiggsy, is just as wonderful as the previous ones I have reviewed. There is a valuable lesson to be learned from each book. Jiggsy is a junk yard dog always in search of food. The life of a junk yard dog is not easy. Jiggsy must get up pretty early if he wants to get a bite to eat. The yard is not a safe place because Jiggsy is surrounded with thieves. His only possession is his favorite pillow. Jiggsy finds a very expensive necklace. Will he keep the necklace or will he return it to its owner? When someone steals Jiggsy’s favorite pillow, it makes him stop to think about what if feels like when someone steals something of value from you. I am very fond of a Necklace for Jiggsy because it can be used to teach young children the importance of being honest, and that it is not good to keep something they found if they know to whom the item belongs to. It is very rare to come across a great book with a great message written and illustrated by the same person. 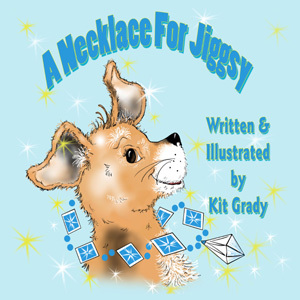 A Necklace For Jiggsy is written and illustrated by Kit Grady. Ms. Grady brought her story to full life with her brilliant and masterful illustrations. She bestowed a huge honor upon me by giving me a free copy of her book for review. I love reading books that convey good, wholesome and positive messages to children. 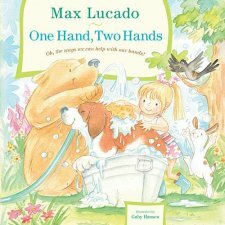 Max Lucado’s book One Hand, Two Hands is a well written book that teaches children how to use their hands to serve others. The colorful illustrations brought the story to life. Every child should have a copy of this wonderful, well written book. Thank you to Thomas Nelson for providing me with a free copy of this outstanding book for review. Article first published as Book Review: Animal Sound Mix-Up by Connie Arnold on Blogcritics. Do you like reading to your toddlers? 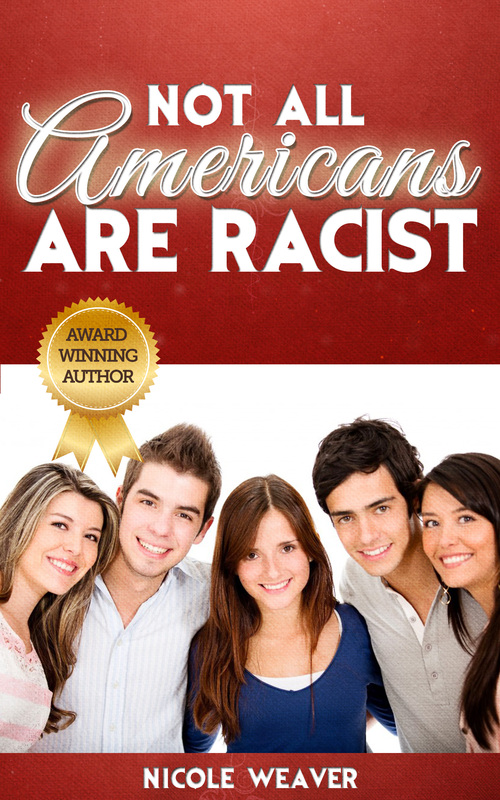 Are you a proud grandma and grandpa looking for a good book to read to your precious grandkids? If you answered yes to either question, look no further. 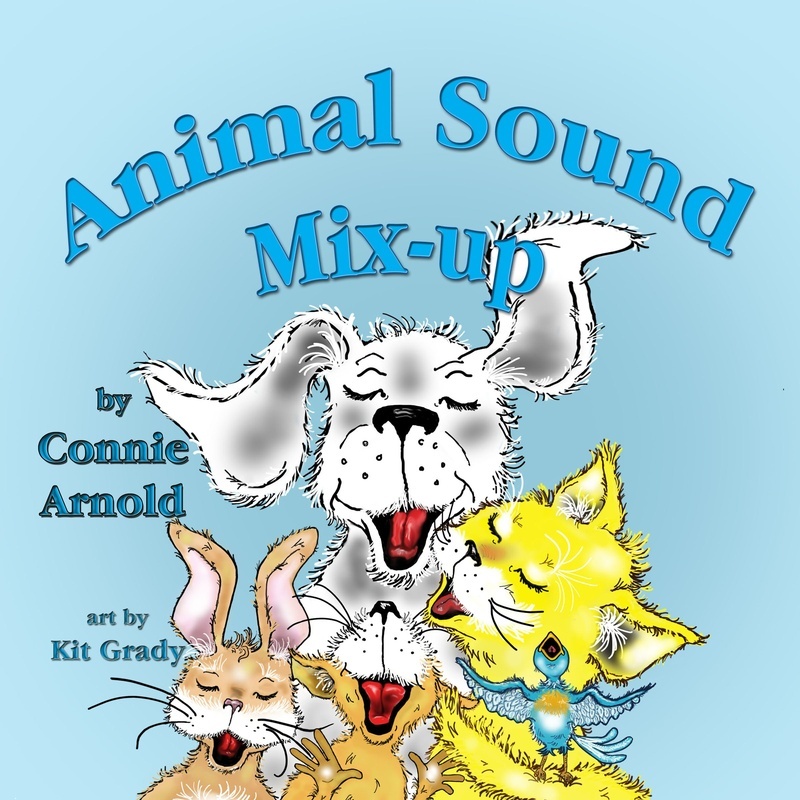 Connie Arnold’s Animal Sound Mix-Up will bring sheer delight to your little bundle of joy. Written in beautiful rhyme, the book explores the sound that domestic, farm and jungle animals make. To help young toddlers learn about sounds, the author poses silly questions like: What would happen if a cat were to moo? Or what if a lion said meow… or if a donkey said bow-wow? The colorful pictures on every page will keep a young child captivated while learning what sounds goes with what animal in a fun way. I can visualize the learning that can take place reading this book to a toddler. The book can be used as a very handy educational tool to teach young children beginning sounds. Homeschooling has become a viable option for many families; this book would be a good choice for teaching first sounds through rhyming. Some examples of rhyming used throughout the book are: say, day, way- bear, stare- howl, owl- squeak, speak-meow, and bow-wow. Would you like to teach your children how their actions can make a huge impact in someone’s life? Are you looking for ways to instill in your child that every choice he or she makes, good or bad can make a difference in the life of others? 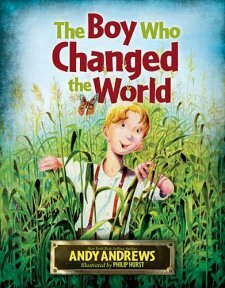 Andy Andrews’ The Boy Who Changed the World will help you accomplish the task of teaching your child how everything we do in our lives can make a difference in the world we live in. The book is about three boys: Norman Borlaug, Henry Wallace, and George Washington Carver. The author cleverly used the butterfly effect to illustrate how the action of each boy had a ripple effect on the entire world. Any child reading this story will be encouraged to do positive things that will perhaps change the world. The most inspiring part of this book is the clear message that each one of us can make a huge difference in the life of mankind by engaging in the smallest of act. The illustration helps the story jump off the page. I really enjoyed reading this well written book. I received this book free from Thomas Nelson Publishers as part of their book review bloggers program.